From our house to yours, we hope you have a wonderful Thanksgiving! With Thanksgiving right around the corner it’s important for us to reflect on what we want the thank the Lord for this year. 1.) I thank God we are still the most free and prosperous Nation in the world. Because our prosperity is coupled with our love for one another, we share not only with our neighbors, but we are still the most generous benefactor to the world. 2.) I thank God that we have the freedom to elect our representatives instead of being forced to accept dynasties. It’s still easier to get rid of a corrupt politician through the electoral process than to remove a royal family from power accumulated over centuries. As long as there are free elections, there is hope. 3.) I thank God for electronic media. If it were not for the marvels of computers, it would be extremely difficult to communicate with you. It also blesses me when you communicate with me. Thank you for your support and encouragement. 4.) I’m also thankful for good friends. Without the love and camaraderie of others, all holidays would be empty and bland. Pictured with me is Joan Castle, campaign manager for the Darrell Castle campaign. What are you thankful for this year? Let me know by leaving a comment below. 1.) Have a great and a grateful Thanksgiving. Never shy away from politics with the relatives. Someone’s bound to spice things up, so we might as well use those teachable moments to shift the Country! 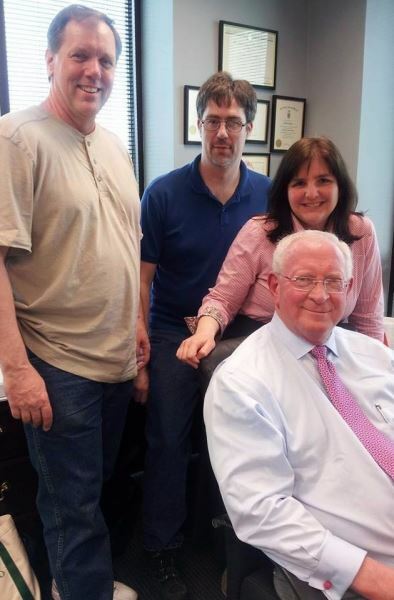 A few years ago, we went to Memphis Tennessee to the law offices of Darrell Castle. 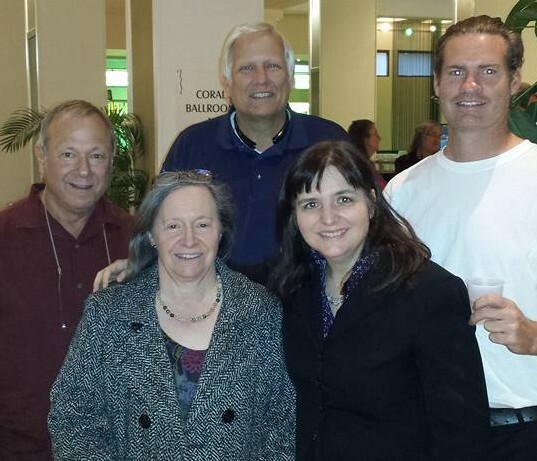 Here is a picture of Darrell with some of our technical experts! You are going to enjoy listening to our podcast this week. 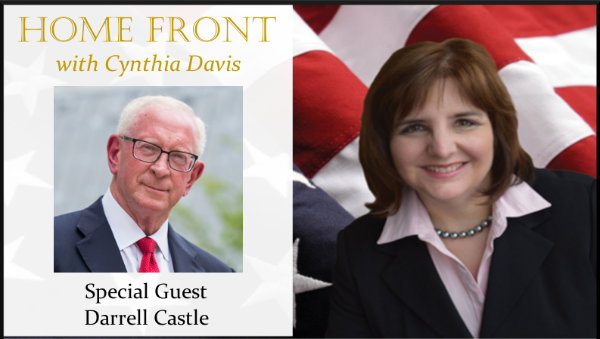 We interview former Constitution Party Presidential Candidate, Darrell Castle, to hear his reasons for running and lessons learned from the election. He shares some of his predictions for what’s to come next. This interview will help you process what happened and give you hope for the future. Recently, my husband, Bernie, was doing a project and asked me to get him a wooden stick so he could spread some glue. As a good wife, I tried to get him the best stick possible. I hope he asks for more. 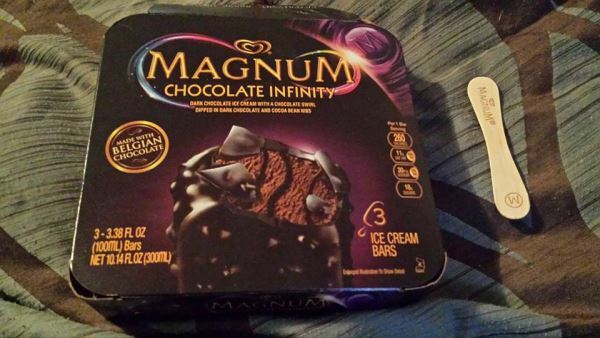 This package only comes with three. 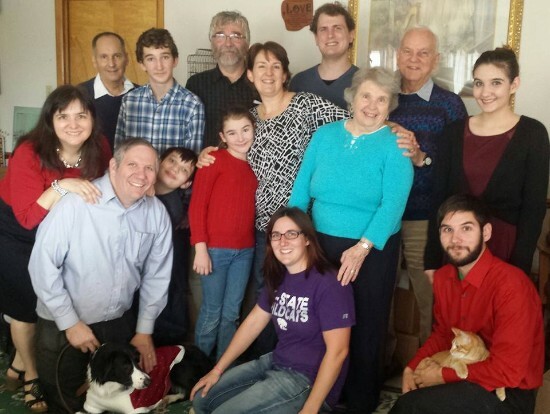 Cynthia – I am thankful for a healthy family and all of our blessings, especially a free country. Plus I am thankful for you and the information you share. Our son lives in your district and we drive by your business often. One day I will stop by & say hello. I enjoy your knowledge about our state & country & look forward to your email messages. A Blessed Thanksgiving to you & your family! I am thankful to God for the love of my wife. I’m also thankful for for all the family. I’m thankful for our Constitution, given to us by our founding fathers, that created the greatest experiment in human liberty, in the history of the world. None of this would have happened without God’s Divine Providence, allowing our patriots to win the American Revolution against a much stronger force. Happy Thanksgiving to you, your family and friends.